Three military patches. After some research, I found out that MAAF stands for Mediterranean Allied Air Forces, the major Allied air force organization during World War II. 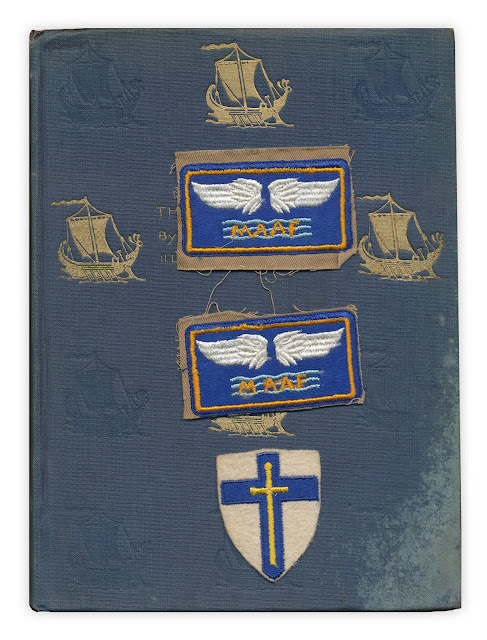 The third patch appears to be the crusader's shield and sword, an emblem of the British Second Army. Found in "The Golden Age" by Kenneth Grahame. Published by John Lane, 1924. Another great cover and bookmark(s) to go with!